The old warehouse along Wandoo Street has been undergoing somewhat of a facelift these past few months. 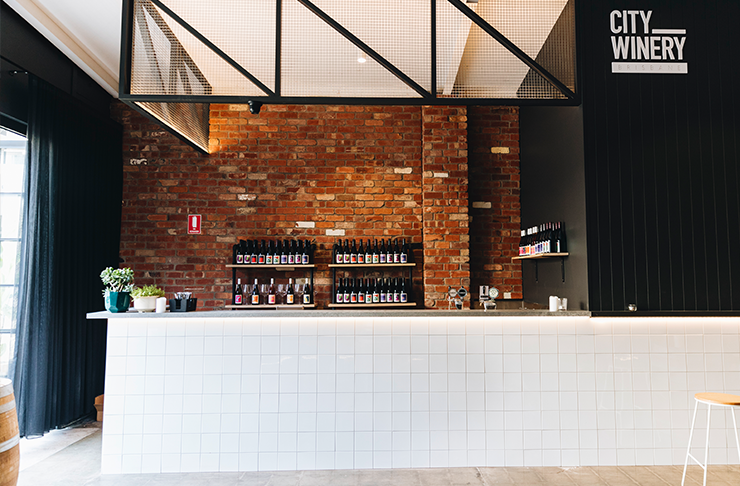 Once home to Fortitude Valley’s stalwart coffee house, Campos, this prime piece of real estate has been lovingly restored and has evolved into an elegant wine bar and cellar door. 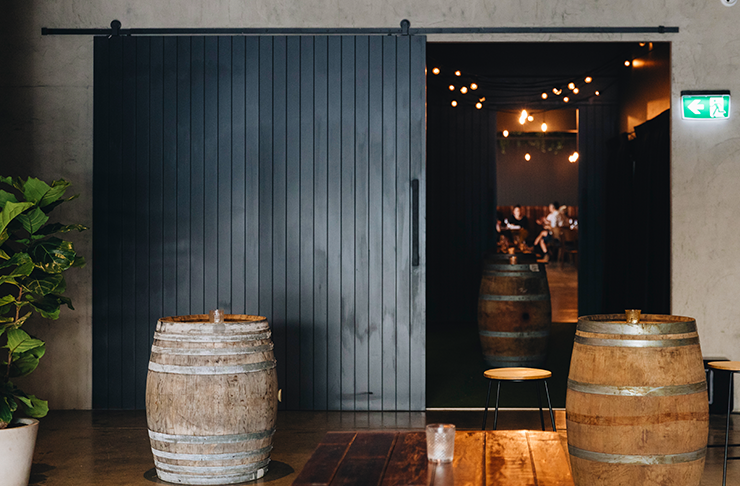 Say hello to City Winery, the city’s only urban winery and cellar door. The last working winery in Brisbane city was nearly 160 years ago, so it’s quite the achievement for owners Adam and David, who have taken their vision of good wine and honest food and created a haven amongst the bustle of Valley bars and shopping avenues. Featuring an elegant, double height ceiling wine bar that houses dozens of barrels of Gerler wine, a 70-seat restaurant, private dining in the venue’s cellar room and a festoon-draped front patio dotted with lush greenery, City Winery spills out onto the street in a European-style fashion that no other venue has quite achieved in the area. It quite literally draws you in. Extending their offering to lunch and dinner, head chef Travis Crane has created a beautiful menu not just to pair with the wine (though it does and we’re very okay with that), but one that comprises of elegant dishes that don’t feel stuffy. The modern Australian dishes feel fresh and new with pairings such as grilled market fish with smoked tomato, fermented zucchini and Mexican cucumber, and coal-grilled corn on the cob with fermented chilli and kaffir lime. Hearty classics like the grass-fed sirloin with beef fat potatoes, spring onion and roasted black garlic make for perfect feasting share plates, but if you’re just after bar snacks alongside a post-work wine, then order a round of the roasted pumpkin with toasted grains, cultured cream and lovage or the pork scratchings. Wine tastings also take place daily on site, meaning you can sample Gerler’s small batch handmade drops guided by Dave and the team. The venue opens its doors today and will be trading for lunch and dinner seven days a week. Click here for their opening hours.